Is it better to exercise with a plan or is it better to have a more spontaneous workout routine? You may overhear this argument in the gym or you may have had this conversation with a friend of yours. Some will say that you should never go to the training without knowing exactly what you want to do there. But many people like to trust their instincts and workout based on how they feel as well. Working out should be fun, it shouldn’t be something that you feel forced into. But then again, you could argue that if you don’t go in with a plan, it is rather unlikely that you maximize your potential for the long run. Fit Drills is all about training plans. But luckily, it offers features and programs for both those who like planning their workouts and for those who are more spontaneous. It’s one of Fit Drills’ main goals to create a training plans platform which is open for different training styles. Let’s take a look at some of the positives and negatives of each of these different exercise styles. The Positives: When a person pursues a more instinctive, spontaneous workout strategy, they can exercise in a way that feels best for them on any given day. Nobody knows your own body better than you do. Exercise is to support your health and make you feel good. So logically, working out based on how you feel can help make a person feel better. Entering the gym with no plan can also arguably help you avoid injury. When you go in with no plan, you have less incentive to lift more weight than your body can handle. You spend less time focused on the numbers and instead turn your attention toward how you’re feeling. Which muscle groups have you not hit lately? Have you been feeling sluggish lately? Maybe some cardio to start your workout will help you get your energy level up. Spontaneous workouts are typically easier to fit into a busy schedule and are more flexible as well. If you aren’t planning on going for one whole hour, three or even six days a week, you can fit in a shorter workout one day and a longer one another day based on your schedule and how you’re feeling. Spontaneous workouts also offer more variety in your exercise. Somedays you may want to play soccer with some friends and then the next day you can decide to lift. A lot of planned workouts focus on specific goals like losing weight, gaining muscle, or getting strong alone. It’s not always the best full body workout for general physical fitness. The Negatives: You can argue that someone won’t reach their full potential with spontaneous workouts. If you don’t set goals for yourself, how do you know you’re improving? When you feel more tired or weak than normal, how do you hold yourself accountable? Another issue is that if you don’t plan, you may not be focusing on the specific type of fitness you’re working to achieve. If you’re trying to lose weight, you may want to plan a path on getting there. The Positives: Even when you aren’t feeling good, sticking to a plan can hold you accountable. Establishing a plan and sticking to it makes measuring your fitness goals much easier. Whether you’re working to lose weight or gain muscle, planned workouts make monitoring your progress much easier. Many people will argue that a person may reach a plateau when using a spontaneous workout strategy whereas plans help you move to that next level. A well-developed plan can help someone move from already very healthy to that next level. Plans can also be specifically designed for a person’s body type and their specific goals in order to maximize the results. The Negatives: Planned workouts may not be as much fun for some people. They can feel like work. However, it may feel like work because of the great results that a plan can provide. Additionally, planned workouts can be harder to accomplish if you work out in a smaller or more crowded gym or if you have a busier schedule. Do whatever you feel better about. Everyone is different and as long as you are getting up and staying active, you’ll be healthier than if you weren’t. If you are pursuing specific goals for the long run, at least use a plan as a guideline. This argument may never be settled, but as long as you feel that you’re making progress and you feel good, then choose whichever workout style makes you and your trainer happy. The Fit Drills mobile app is open to plans for everyone. 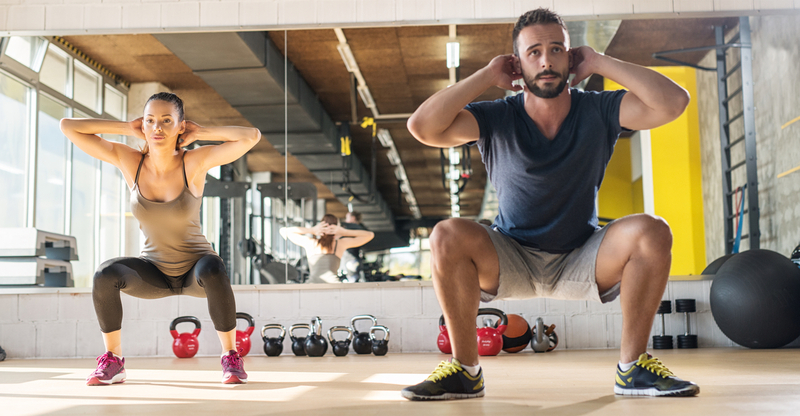 Whether you prefer spontaneous exercise or planned workout routines, working with an experienced coach can help you find your way to achieve your full potential. Should the comparison be spontaneous vs. planned vs. flexible training? A slopestyle freeskier is highly dependent on the weather. Some of them will not even bother to leave the house without a detailed plan in the morning. On a longer term, they will have clear ideas on what they want to learn next. But from training day to training day they need to stay flexible. Go up the mountain, check the weather and slope conditions and based on that start working on some new tricks which are suitable for the conditions. I call this flexible training. There is a longer-term plan but it is followed in a flexible way from workout to workout. One could argue, that under such conditions planning would be even more important. I think this could be a topic for another blog post.